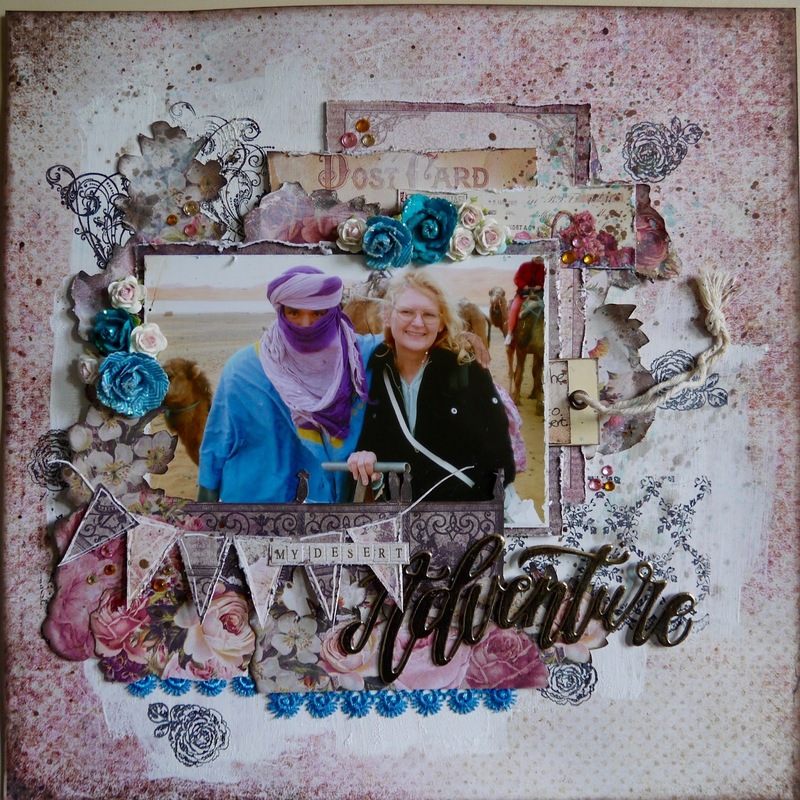 Patricia's layout: Challenge yourself: adventure! The november challenge on Challenge yourself is super: use a picture of yourself, thankful is the word and use a banner in the layout. On the blog you will find so many very good layout from the design team. I've used a 10 year old picture from me in Morocco. A co-worker gave this trip to me as a big surprise. I never was in the opportunity to travel a lot, and this was a super trip totally outside of my box! I've used Prima paper and left over flowers. The big title was a left from of a Project Life album I made last year. On the hidden journaling I've put: ' So thankful for the opportunity to travel. I love my adventure in the desert (riding a very big scary camel). Patricia, this page is absolutely gorgeous! I love it for so many reasons, especially the amazing story behind it! Thank you!! !